It is a delight for me to attend the centenary lunch of the Hong Kong University – or HKU to use its more familiar name. I want to thank HKU and the Hong Kong Association for inviting us to this event. On such a festive occasion, I offer my warmest congratulations to HKU and a hearty welcome to Vice Chancellor Lap-Chee Tsui. HKU is the oldest institution of higher learning in Hong Kong. Over the past century HKU has emerged as a highly prestigious university in China and around the world. During those 100 years HKU has witnessed both great adversity and prosperity in Hong Kong. I never visited HKU, yet it is no stranger to me. I’ll tell you why. First, since the foundation of HKU it has produced many great people. The most famous alumnus of HKU is Dr. Sun Yat-sen.
From his educational roots in Hong Kong he went on to become the "forerunner of democratic revolution" in China. Being kidnapped in London was a legendary chapter in his revolutionary life and made him known to England. One century has passed. Now we can proudly say that Dr. Sun’s dream of a strong and prosperous China is coming true. The Chinese nation is re-claiming her place as a leading country in the global family of nations. Second, I have had the privilege of personally knowing HKU’s recent Chancellors. One of those, Lord Wilson, is here with us today. Other HKU Chancellors I know are Lord Patten and Hong Kong SAR Chief Executives C. H. Tang and Donald Tsang. I have met regularly with all these chancellors. One frequent topic of our conversations is the development of Hong Kong. · Hong Kong’s economy has successfully overcome many challenges. · Hong Kong’s democracy is advancing steadily. · Hong Kong’s ties with the mainland have strengthened. · Hong Kong now is a truly shining ‘Pearl of the Orient’. 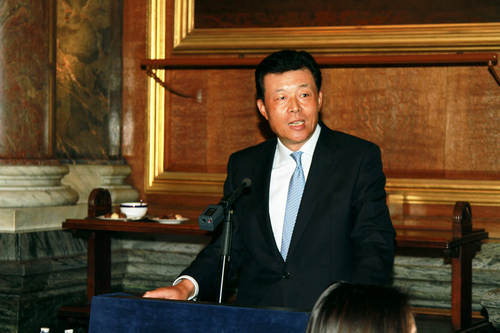 Third, I have had the pleasure of discussions with many visitors from Hong Kong since I became Chinese Ambassador to the UK. Often I find these visitors have strong links with HKU or are alumni of HKU. 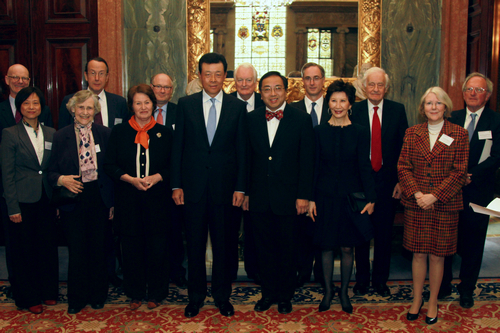 Some of these have been officials from Hong Kong SAR government visiting the UK. In many cases, their CVs show their study experience in HKU. Late last year, I visited Hong Kong as a guest of the SAR government. The visit gave me a chance to get in touch with people from all walks of life in Hong Kong. To my surprise, it appeared that almost half of the people I met had graduated from HKU! All these show, that over the century, HKU has cultivated a large contingent of talents. These talents have in turn become the backbone of Hong Kong. · I heard that HKU is recruiting more students from the mainland of China. · A programme has been launched to allow 1,000 students and professors from HKU to study and research on the mainland. · HKU will also collaborate with Cambridge University in recruiting students on the mainland. That will create a model of three-party cooperation involving Hong Kong, the mainland and Britain. For a man, 100 years old means he is in the final stage of his life. But a century-old university is still quite young. As an English proverb says, “old is gold”. This means HKU can look forward to a “golden age” as it sets out on its second century. I wish HKU a golden future of prosperity and success! Officially opened in 1911, the Hong Kong University (HKU) is the oldest institution of higher learning in Hong Kong. Its predecessor was the Hong Kong College of Medicine founded in 1887. HKU is a highly prestigious university in Asia and around the world. 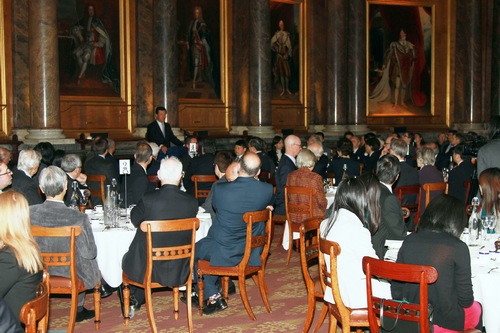 The Hong Kong Association in London was established in 1961. Its members include leading British companies and major Hong Kong invested companies in the UK, such as HSBC and Hutchson Whampoa.